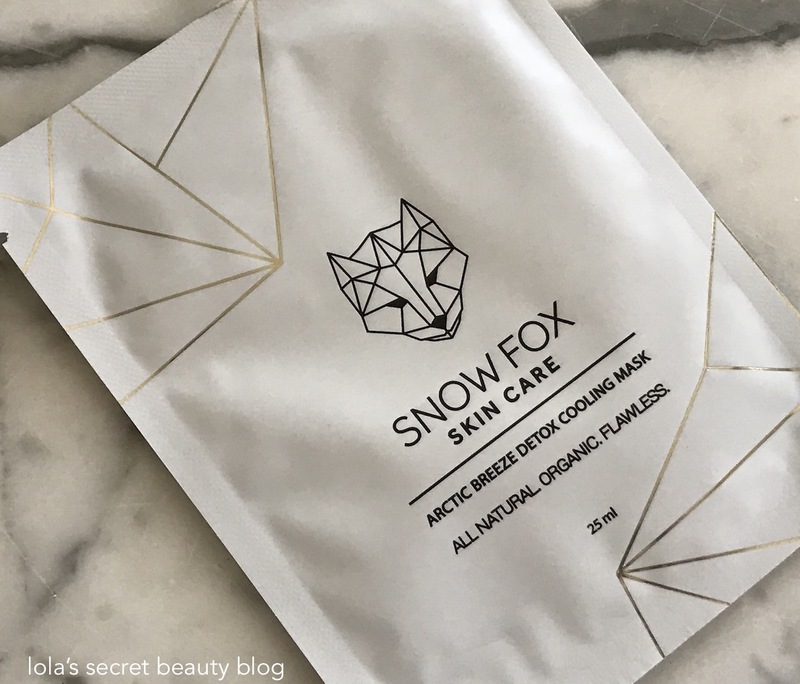 I recently discovered Snow Fox Skin Care– which makes the most refreshing skincare products that I have tried. Each of the products that I have been testing are gentle, effective and punctuated by a refreshing light minty aroma. They nourish the skin and offer the perfect pick-me-up, and each of the products are a treat for all types of skin, and are wonderful picks for the warm weather. A professional grade, natural & plant based formula originally created for sensitive skin. Suitable for all skin types. 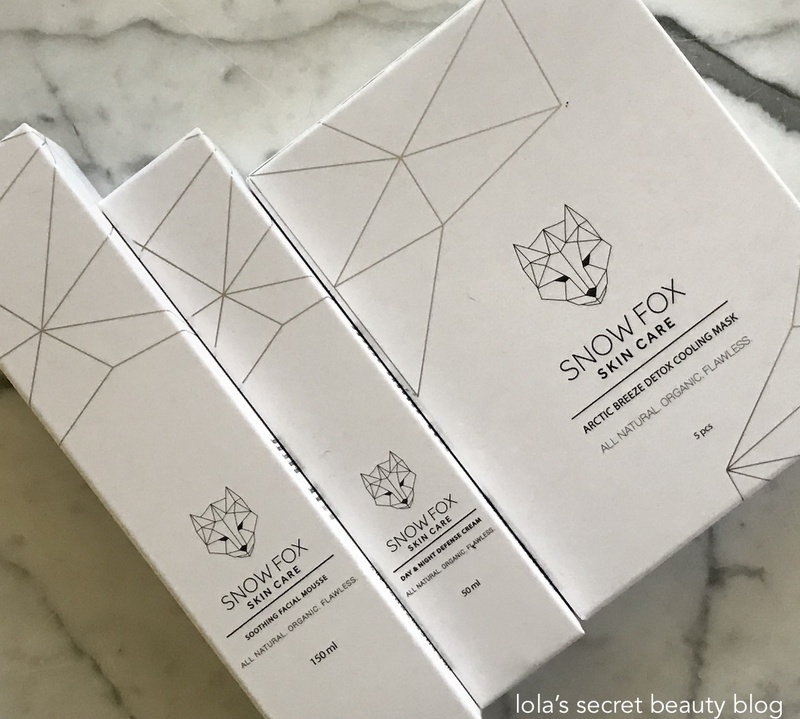 An all natural, minimalist, 100% plant based line formulated especially for those with hypersensitive skin - Snow Fox has been featured in Elle, Harper's Bazaar & more, for its gentle but impressive potency. Voted top 10 "green" beauty brands of 2017 by Marie Claire, the brand continues to promote ethical consumerism in skincare. Snow Fox Skin Care Soothing Facial Mousse ($35.00 for 150 ml. from Snow Fox Skin Care): This cleanser features a creamy and luxurious foaming mousse that effectively, and thoroughly, cleans the skin and removes dirt. It doesn't strip the skin, and its refreshing minty aroma is incredibly exhilarating, and it stimulates the senses without being overpowering or irritating. I keep my bottle in the shower because it is so pleasant to use in my morning shower, and it's such a nice way to wake up. Great for effectively removing dirt, bacterial debris and impurities from skin without stripping natural moisture levels. Exfoliating, brightening dull skin without harsh or abrasive granules. Soothing, cooling tired skin. Directions: For oily skin (or in humid climates) pump 2 - 3 times onto your palm and gently massage in circular motions around your face. Use twice a day, morning and night. Rinse with water and avoid eye area. For normal/ dry Skin (or in dryer climates) once a day is enough. Citric Acid: An alpha hydroxy acid naturally found in fruit, which helps exfoliate, promote new skin growth, unclog & shrink pores, correct uneven skin tone and treat acne, without being abrasive. Peppermint Oil: A natural anti-microbial which helps protect skin from dirt, grease and bacteria buildup which leads to clogged pores and infections like acne, without stripping the skin of its natural oils. Ingredients: Water, Sodium Cocoyl Glutamate, Disodium Cocoyl Glutamate, Decyl Glucoside, Glycerin**, Mentha Piperita Water*, Aloe Barbadensis Leaf Juice Powder*, Glyceryl Caprylate, Glyceryl Undecylenate, Citric Acid, Mentha Piperita (Peppermint) Oil*, Sodium Anisate. Snow Fox Skin Care Arctic Breeze Detox Cooling Mask ($30.00 for a box of 5 masks from Snow Fox Skin Care): This refreshing sheet mask deeply hydrates, invigorates and brightens the skin. Like the Soothing Facial Mousse cleanser, this mask has an invigorating minty aroma that awakens the skin and the senses, but without stinging or irritating. It is formulated to detox the skin, heal breakouts, regulate oily t-zones and to reduce redness. It is a perfect choice to pamper the skin during the warm weather because it has a wonderful cooling effect. Great for hydration, brightening, detox (for enlarged pores, blemish outbreaks, redness, oily t-zones, greasiness), after sun care (please consult a specialist before using on sun-burnt or broken skin). 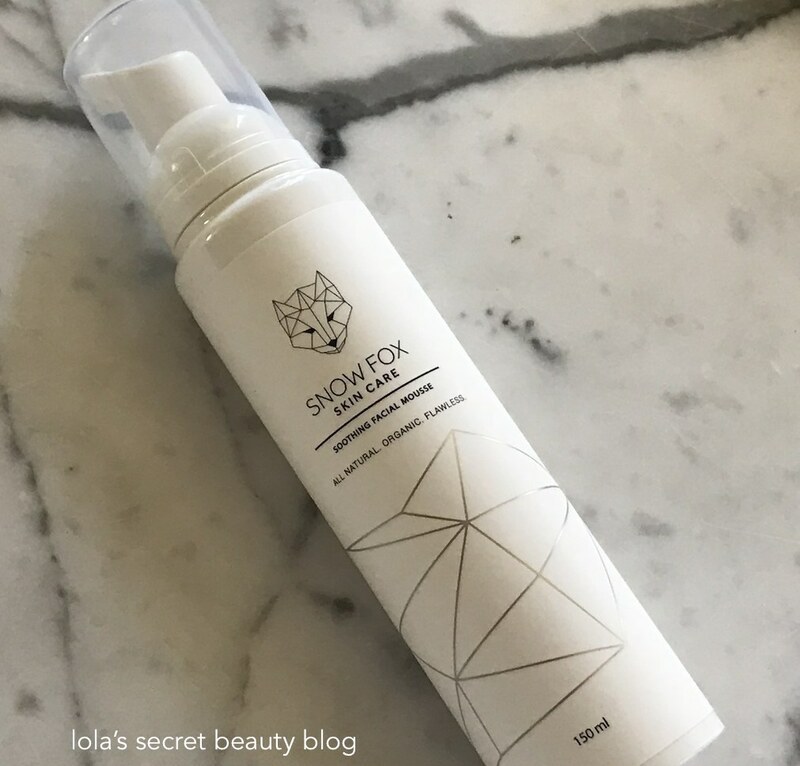 Directions: Cleanse with Snow Fox Cleansing Mousse. Open pouch & carefully fit mask over face.Remove mask sheet after 20 minutes. Gently pat any remaining formula into skin or wash off and follow up with Defense Cream. Peppermint Oil: Rich in omega-3 fatty acids, iron, magnesium, calcium, vitamins A and C, minerals, potassium and manganese. All of these help rebuild skin’s elasticity and health, leaving a beautiful natural glow. Aloe Vera Leaf: Contains two natural hormones, Auxin and Gibberellins. These provide skin with wound healing and anti-inflammatory benefits. Giberellin stimulates the growth of new cells, while Auxin allows the skin to heal quickly and naturally with minimal scarring. 100% Organic Cotton Sheet Mask: Pure organic cotton material, never mixed with cheap synthetic textiles. Perfect for those sensitive to harsher materials. 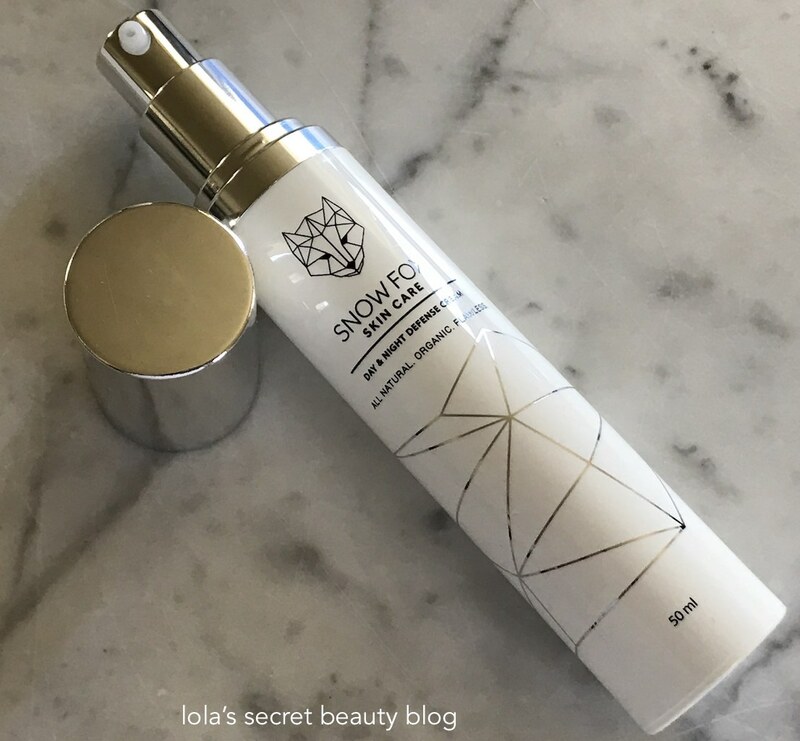 Snow Fox Skin Care Day & Night Defense Cream ($55.00 for 50 ml. 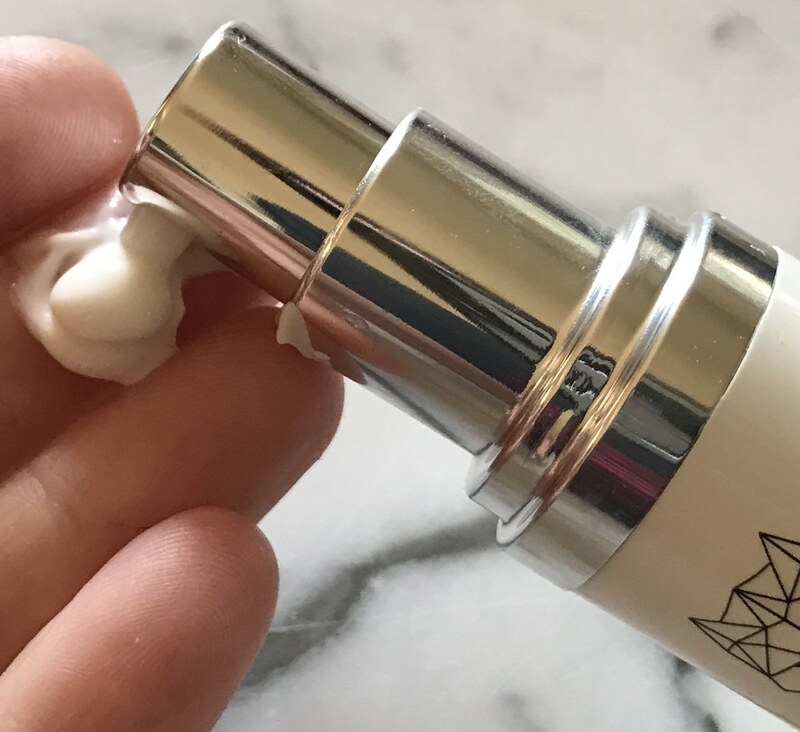 from Snow Fox Skin Care): This mid-weight, and fast absorbing, cream is formulated as an anti-aging moisturizer for dry and damaged skin, but I find it perfectly suited for my normal to combination skin. It is neither too rich, nor in the least bit greasy, and it does a wonderful job in its ability to deeply hydrate my skin without breaking it out or irritating it in any way. I don't have a lot of hyperpigmentation, but I haven't used it long enough to see whether it will fade the few tiny spots that I do have. It has a slight minty aroma that is refreshing and exhilarating. Great for repairing dry, damaged skin. Anti-Aging. Hyperpigmentation (uneven skin tone). Fortifying skin health. Directions: Apply to face and neck in a gentle circular motion. Use in the morning, before applying make up. Our formula is ultra absorbent so if you have dry skin, re-apply up to 3 times a day, whenever skin feels dry. Apply one more time for bed. For best results, use the Arctic Breeze Detox mask 1-2 times a week in conjunction. Olive Fruit Oil: Packed with essential fatty acids including oleic, palmitic, and linoleic acids, as well as high levels of squalene and antioxidants that help hydrate dry and damaged skin. Ginseng Extract: A powerful topical antioxidant that enhances skin metabolism, which helps the skin effectively repair itself. Most notably used in Eastern medicine for regeneration and anti-aging. Jojoba Oil: The oil most similar to natural skin sebum, jojoba oil helps deliver nutrients deep into the skin while nourishing the skin with Vitamin A & E.
Macadamia Oil: is rich in palmitoleic fatty acid. Also known as omega-7, this rare mono-unsaturated fatty acid promotes skin regeneration which makes it a powerful anti-aging component. 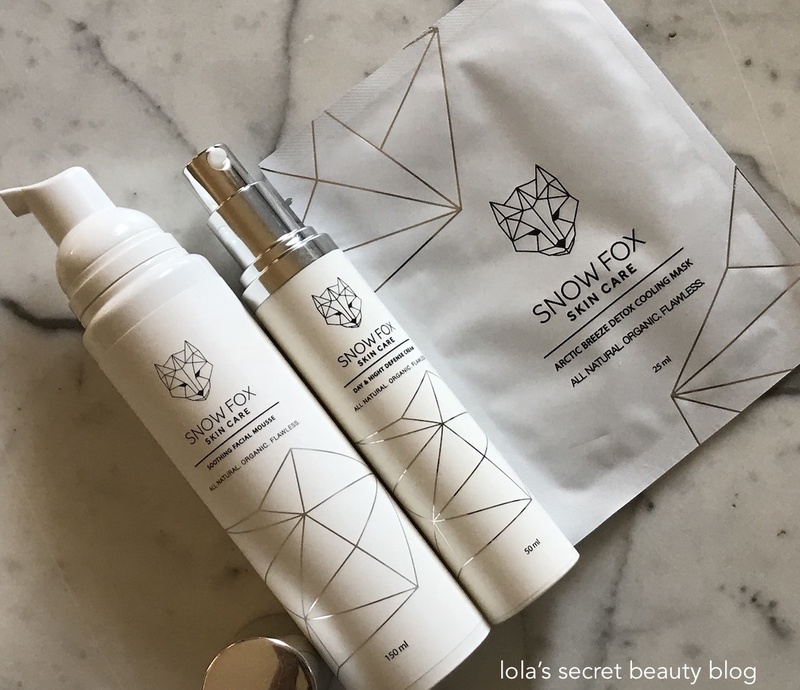 Overall Assessment: These ultra-refreshing Snow Fox Skin Care products offer skin a nourishing and hydrating pick-me-up, and they will be perfect for the hot LA summer that is upon us. It's a very refreshing line of products, but definitely a miss for you because of the mint! If Sybille like minty-fresh skincare, then these products should be of interest to her. 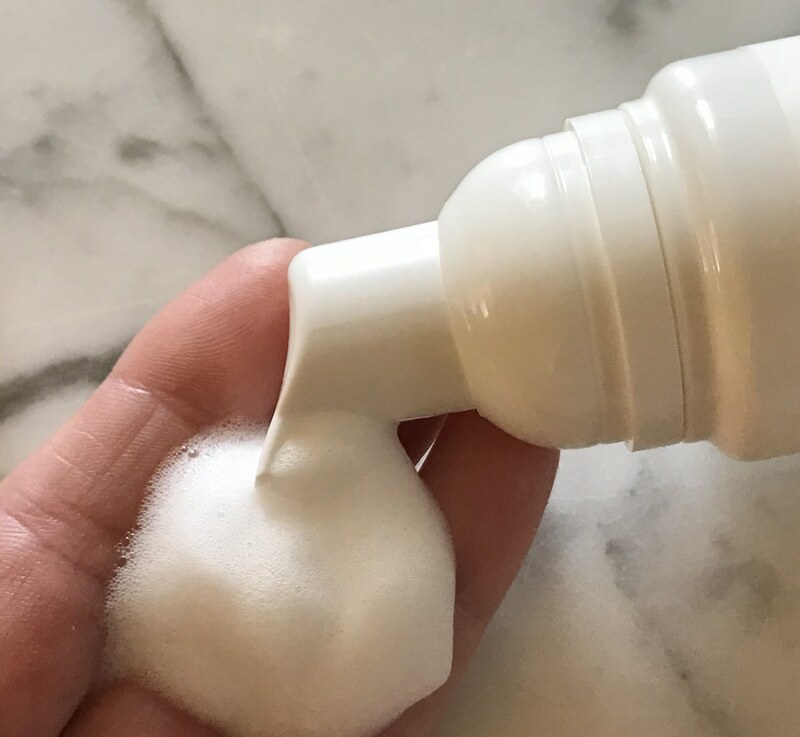 I especially like using this foaming cleanser in the morning– it really is a nice wake-me-up! I really like these three products a lot, and definitely think they are worth trying! I love the ingredients in the mousse and the moisturizer and I'll take a minty scent over a chemical one any day! The minty scent isn't overdone, and it is very refreshing! I agree, it is much better than a chemical scent! These are definitely worth trying! The foaming cleanser is really amazing! I love the name and the logo! Me too! These products feel so great on the skin, and they are so refreshing! I'm looking forward to start these three products. Actually I have done one mask so far and liked the refreshing feel of it. I like mint which helps. I am so glad that you are testing these products. I can't wait for you to try the cleanser! It is so refreshing, and especially wonderful in the mornings! I absolutely adore their fox face logo! Beautiful design. Yes, I agree with you Kath. I've never heard of this packaging but I love the fox on the packaging and that they're green. I will check this brand out! It's definitely a brand worth trying. 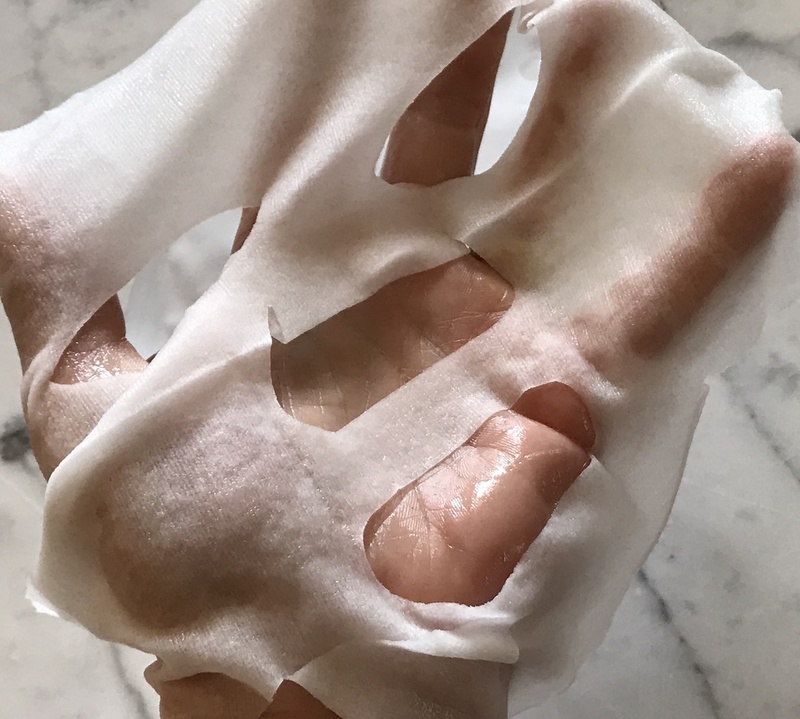 Girl, you know I love a good sheet mask! This one sounds very lovely! I know you do, and this one is SOOOOOOO refreshing and hydrating!